The decision to use this microscopic egg holds so many questions. Purchasing it cracks open a whole new world of social, ethical, and moral choices—everything from the donor the woman chooses, the relationship she chooses to have with the donor, and what she will tell her child about his or her biological origins in the future. An increasing number of women and couples are choosing to start their families in their late 30s and 40s, and as a result, many are turning to donor eggs. The Centers for Disease Control and Prevention reports that the number of attempted conception cycles using donor eggs has risen from 1,802 in 1992 to 17,4962 in 2013, and 47% of transfers result in live births. Becoming pregnant with a donor egg is neither easy nor cheap. It involves buying the eggs of a younger woman, creating embryos with sperm (either a partner’s or donor sperm) through in vitro fertilization (IVF), and then implanting them in the uterus. The entire process can cost upward of $40,000. But for women who face conditions such as premature ovarian failure, a history of failed IVF, low ovarian reserve, or the possibility of passing on genetic diseases, this can be a great option if you don’t want to give up the dream of carrying a child. Why do women put themselves through this financial, emotional, and physical stress to have a child biologically, even when that child won’t be related to them genetically? The decision is intensely personal, and the answer differs depending on whom you talk to. Some women do it because they can’t produce children themselves but want to have a child who is genetically related to their husband. Some women want the experience of being pregnant, giving birth, and breastfeeding. For many women, these are vital bonding experiences. And buying a donor egg, like choosing a sperm donor, allows women and couples some control over their child’s genetic background. this evidence in the field of epigenetics from ChoiceMoms.org, shows that even if you don’t carry the same genes as your growing fetus, your own body, choices, and experiences have an enormous impact on its genetic development and future health. When searching for an egg donor, the options can be overwhelming—and expensive. Some fertility clinics have year long waiting lists to use a donor in their program; others limit your choices to their donors and their clinic alone. One of the best places to start is your local fertility clinic. A nurse can walk you through your options to help you make the best decision. There are also several independent egg-donor agencies and registries. Egg donors go through a very stringent psychological evaluation. Dr. Marilyn Shore, a psychologist at the Donor Egg Bank in Los Angeles, is in charge of evaluating women who want to become egg donors. She says that 80% to 90% of the donors she interviews want to donate in order to offset some of the cost of their education. Although U.S. law prohibits the sale of body parts, donors can be compensated for the medical procedure of having their eggs removed. The ethical guidelines for the American Society for Reproductive Medicine (ASRM) say that an egg-recipient donor agency should never pay more than $5,000 for the services of an egg donor, but some agencies and individual donors charge much more, often up to $50,000. Shore’s main job is to build a profile of the donor from every angle, including personality, intellectual capabilities, motivation, level of responsibility, and health background. Shore’s questions cover the donor’s education history and grade point average and her family’s professional background. She asks the donor to describe her personality traits: Is she talkative, shy, confident, caring? Many potential donors do not make the cut. Women who smoke, use illicit drugs, or consume excessive amounts of alcohol are immediately rejected. But psychological disorders are a gray area, Shore explains. Most doctors will not accept a donor if she has been diagnosed with schizophrenia or severe manic depression. Several donor-egg agencies are also taking advantage of egg-freezing technology. 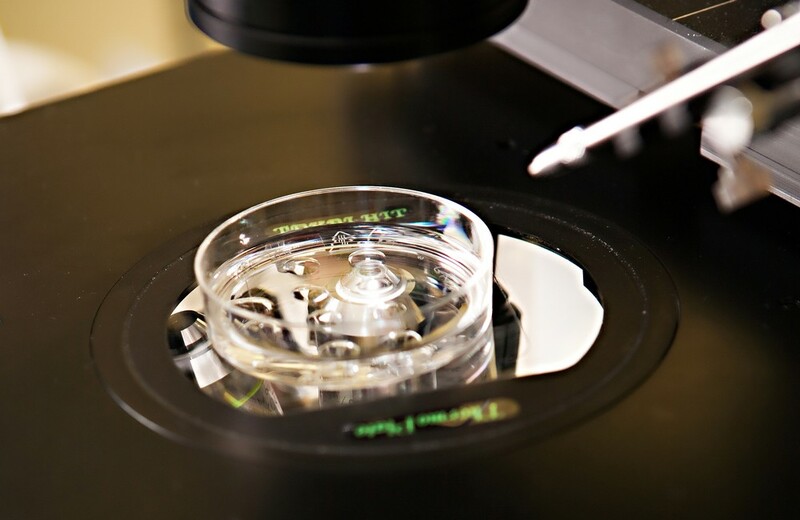 According to 2013 data from the Society for Assisted Reproductive Technology, the rate of live births from fresh donor eggs is 56%, and the rate of live births from thawed eggs is 43%. Most of these agencies play matchmaker between the recipient and donor. The donor goes through the retrieval process, and the eggs are fertilized and implanted immediately. The newer frozen-egg banks are more like sperm banks. Banks such as Reproductive Biology Associates of Atlanta, The Donor Egg Bank in Los Angeles, and The World Egg Bank in Phoenix offer the option of buying an egg directly from a stock of eggs that have been frozen and stored. The option allows for a new kind of flexibility: the donor and recipient don’t have to line up their schedules so that the recipient will be physically ready for the transfer of eggs as soon as they are retrieved from the donor. It is also considerably less expensive for the recipient. Instead of the recipient paying for all the donor’s expenses, the clinic covers the medical expenses. Once you’ve made it down the road and finally have your bouncing baby—or babies—from egg donation, you will most likely still have questions about your donor’s role going forward and what to tell your children. It’s also good to know that in the eyes of the law, the woman who carries a child to term is considered the legal mother—even if the child was not conceived with her eggs. Most agencies require that donors stay in touch for five years in case any medical problems arise. Today some argue that disclosure regarding donor eggs might be treated like an open adoption. An open adoption typically is when the birth mother has some kind of contact with the adoptive family, which may include a certain number of visits per year and/or the exchange of emails and photographs. But the relationship could take on many forms, from simply telling your child the facts of his or her birth and conception to integrating the donor into your life, says Andrea Braverman, a psychologist and the former director of Complementary and Alternative Medicine at Reproductive Medicine Associates of New Jersey. Today therapists and medical groups encourage disclosure in age-appropriate ways. Doing so not only prevents an element of surprise down the road but also—given the mounting evidence about the powerful role of genetics in health—provides children with their medical history, which many professionals say children have a right to know. Having a conversation with your child about egg donation is definitely not an easy thing to do, but it’s perhaps an act that will benefit your child (and your family) in the long run.